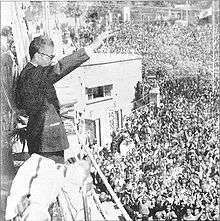 The White Revolution (Persian: انقلاب سفید‎‎ Enghelāb-e Sefid) was a far-reaching series of reforms in Iran launched in 1963 by Shah Mohammad Reza Pahlavi and lasted until 1978. Mohammad Reza Shah’s reform program was built especially to weaken those classes that supported the traditional system. It consisted of several elements, including land reform, sale of some state-owned factories to finance this land reform, enfranchisement of women, nationalization of forests and pastures, formation of a literacy corps, and institution of profit sharing schemes for workers in industry. 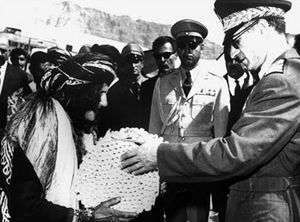 The Shah advertised the White Revolution as a step towards westernization, but there is little doubt that he also had political motives; the White Revolution (a name attributed to the fact it was bloodless) was a way for him to legitimize the Pahlavi dynasty. Part of the reason for launching the White Revolution was that the Shah hoped to get rid of the landlords' influence and create a new base of support among the peasants and working class. The bulk of the program was aimed at Iran’s peasantry, a class the Shah hoped to gain as an ally to thwart the threat of the increasingly hostile middle class. Thus the White Revolution in Iran represented a new attempt to introduce reform from above and preserve traditional power patterns. Through land reform, the essence of the White Revolution, the Shah hoped to ally himself with the peasantry in the countryside, and hoped to sever their ties with the aristocracy in the city. Socially, the platform granted women more rights and poured money into education, especially in the rural areas. The Literacy Corps was also established, which allowed young men to fulfill their compulsory military service by working as village literacy teachers. The White Revolution consisted of 19 elements that were introduced over a period of 15 years, with the first 6 introduced in 1962 and put to a national referendum on January 26, 1963. Land Reforms Program and Abolishing "Feudalism": The government bought the land from the feudal land lords at what was considered to be a fair price and sold it to the peasants at 30% below the market value, with the loan being payable over 25 years at very low interest rates. This made it possible for 1.5 million peasant families, who had once been little more than slaves, to own the lands that they had been cultivating all their lives. 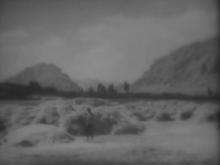 Given that the average size of a peasant family was 5, the land reforms program brought freedom to approximately 9 million people, or 40% of Iran's population. source? Extending the Right to Vote to Women, who previously did. This measure was criticized by some of the clergy. It was true that Iran had made progress with various social programs from the White Revolution, but it was equally true that Iran still had one of the worst infant mortality rates and doctor-patient rates in the Middle East. It also had one of the lowest percentages of people who were receiving a higher education. For example, 68 percent of the adult population still remained illiterate, and 60 percent of children did not complete primary school. This resentment and anger towards the Shah’s failed reforms seems to unite the people against the Shah, and certainly did not increase any class loyalty towards the Shah, as he had intended. The White Revolution received most of its criticism from two main groups: the clergy, and the landlords. The landlords were angry about the land reforms because their land was bought by the government and then sold in smaller plots to the citizenry at a lower price. They also did not appreciate the government undercutting their authority when it came to dealing with peasants or land laborers. The group, or more appropriately, the man who most openly opposed the White Revolution and the Shah himself was Ruhollah Khomeini. Although the clergy in Iran were not happy about many aspects of the White Revolution, such as granting suffrage to women, and the secular local election bill as well as land reforms, the clergy as a whole were not actively protesting. Khomeini, on the other hand, seemed to undergo a serious change of thought from the traditional role and practices of Shi’i clergy, and actively spoke out against the new reforms and the Shah. Khomeini’s famous speech at Feyziyeh School in June 1963 spoke out against the Shah’s brutality towards student protests, and for the first time, it was a speech attacking the Shah as a person. This speech did lead to Khomeini’s exile, but being outside of Iran did not stop Khomeini’s protests, nor did it weaken his influence inside Iran. A couple months later on Ashura, Khomeini gave an angry speech attacking the Shah as a "wretched miserable man"  Two days later, on June 5, Khomeini was arrested. This sparked three days of rioting and left several hundred dead. The riots were remembered in speeches and writings as the time when the army "slaughtered no less than 15,000". Khomeini was released from house arrest in April 1964 but sent into exile that November. What the Shah did not expect was that the White Revolution lead to new social tensions that helped create many of the problems the Shah had been trying to avoid. The Shah's reforms more than quadrupled the combined size of the two classes that had posed the most challenges to his monarchy in the past—the intelligentsia and the urban working class. Their resentment towards the Shah also grew since they were now stripped of organizations that had represented them in the past, such as political parties, professional associations, trade unions, and independent newspapers. Land reform, instead of allying the peasants with the government, produced large numbers of independent farmers and landless laborers who became loose political cannons, with no feeling of loyalty to the Shah. Many of the masses felt resentment towards the increasingly corrupt government; their loyalty to the clergy, who were seen as more concerned with the fate of the populace, remained consistent or increased. As Ervand Abrahamian pointed out, The White Revolution had been designed to preempt a Red Revolution. Instead, it paved the way for an Islamic Revolution. The most important and relevant consequence of the White Revolution and the reforms it brought was the rising popularity of Ruhollah Khomeini. With the growing perception of government corruption, and the implementation of reforms through the White Revolution, Khomeini grew to be an outspoken political enemy of the Shah. The White Revolution was the catalyst for Khomeini’s change in thought. Once Khomeini, as a respected member of the clergy, started to openly oppose the Shah and call for his overthrow, people of all different professions and economic status began to see him as a figure to rally behind. ↑ "Iran: The White Revolution". Time Magazine. 11 February 1966. Retrieved 10 March 2011. ↑ Siavoshi, Sussan (1990). Liberal Nationalism in Iran: The failure of a movement. Boulder, Colorado: Westview Press. p. 23. ISBN 978-0-8133-7413-0. ↑ Bayar, Assef (1994). "Historiography, class, and Iranian workers". In Lockman, Zachary. Workers and Working Classes in the Middle East: Struggles, Histories, Historiographies. Albany, New York: State University of New York Press. p. 198. ISBN 978-0-7914-1665-5. 1 2 Bill, James A. (1970). "Modernization and Reform from Above: The Case of Iran". The Journal of Politics. 32 (1): 33. doi:10.2307/2128863. ↑ Milani, Moshen M. (1988). The Making of Iran’s Islamic Revolution. Boulder, Colorado: Westview Press. p. 85. ISBN 978-0-8133-7293-8. ↑ Abrahamian, Ervand (2008). A History of Modern Iran. Cambridge University Press. p. 133. ISBN 978-0-521-82139-1. ↑ Graham, Robert (1980). Iran, the Illusion of Power. St. Martin's Press. pp. 19, 96. ISBN 0-312-43588-6.